Mucor is a fast-growing strain of mold, even more so than many other strains. It has a fluffy or cottony texture and is initially white or yellow in color, later becoming gray. Like all types of mold, it can cause health problems and can also damage your home. Since it grows so quickly, this strain of mold can be particularly nasty. Like all forms of mold, this strain can trigger respiratory problems and allergic reactions. Symptoms might include coughing, sneezing, a runny nose or a stuffy nose, postnasal drip, a sore throat, itchy eyes, sinus headaches, and a rash or hives. Serious illness occurs rarely and usually only in people with pre-existing health problems, such as those with wounds of some sort or those with weakened immune systems. People with burns, those with uncontrolled diabetes (especially if they injure their feet), those with certain types of cancer, and those who have undergone a splenectomy (removal of the spleen) are at increased risk. The fungus invades the blood vessels in an infection known as mucormycosis and as it multiplies in the walls of the vessels, the blood supply is first decreased and eventually cut off completely. As a result, tissue begins to die and that decaying tissue provides a source of nutrients for the fungus, which continues to grow. Widespread tissue destruction results and, without medical intervention, this leads to death. Symptoms of mucormycosis vary depending on where the infection occurs in the body. Cutaneous mucormycosis is an infection of the skin. It starts with redness and swelling, which progresses to a deep sore. Gastrointestinal mucormycosis is an infection of the stomach and/or intestine. It causes abdominal pain, bloating, and vomiting (vomit may contain blood). Pulmonary mucormycosis is an infection of the lungs. It causes coughing (may cough up blood), shortness of breath, and a fever. Renal mucormycosis is an infection of the kidneys. It causes a high fever and pain in the back or sides. If not treated in a timely manner, the kidneys may begin to shut down, which is life-threatening. Rhinocerebral mucormycosis is an infection in the eyes, nose, and brain. It causes sinus pain, swelling around the nose and eyes, dark scabs in the nose, vision problems, headaches, and a fever. Disseminated mucormycosis is a condition that occurs when one of the above infections spreads throughout the body. In addition to the symptoms described above, a high fever and changes in mental status may occur. As the infection affects different organs, a person becomes sicker and sicker. This is a life-threatening condition. Fortunately, mucormycosis is not a common infection. Unfortunately, since it is rarely seen, many doctors are slow to recognize it when they do see it. If you're been exposed to mold and develop an infection, be sure to let your doctor know about the mold exposure, as this might aid him or her in making a diagnosis. Since mucormycosis is such a serious infection, see your doctor right away if you develop symptoms. The best way to prevent mold-related illness, including allergies and mucormycosis, is to avoid exposure to mold. Of course, most people would not purposely expose themselves to mold. Often, people don't realize mold is present in their homes until after they've already been exposed. You can, however, take steps to minimize your exposure. If you discover mold in your home, take steps to have it removed as soon as possible. The longer the mold is allowed to remain in your home, the greater the likelihood you'll develop mold-related health problems. If you're got mold in your home and are experiencing mold-related health problems, or if you've got a wound of some kind or your immune system is suppressed in some way, it's best to have a professional handle the mold removal for you. Doing the work yourself further exposes you to mold that can lead to serious illness. 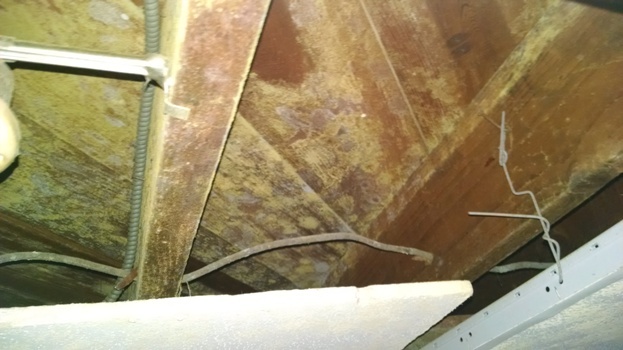 If you need help removing mucor (or any other type of mold) from your home, we suggest scheduling a free consultation with a mold removal professional. An experienced professional will visit your home, inspect for mold, advise you about the work that needs to be done, and give you a written estimate of the cost of the job. He or she will also answer questions you have. There's no cost for the consultation and no obligation on your part. To find qualified mold removal professionals offering free consultations near you, just follow the link.